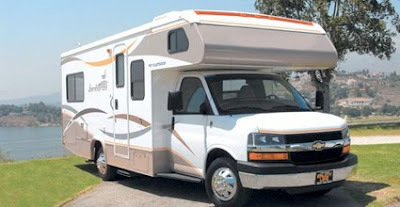 RV-ing is a relaxing and affordable way to see California and Nevada -- for RV Rental San Francisco go to http://www.cheaprvrental-sanfrancisco.com. You don't have to see the whole country in one go so take your time and plan to tour the USA in stages -- this way you can plan a new journey for your next vacation and you'll actually have time to see places and meet new people. Monterey -- a city noted for its rich history of resident artists, not to mention the annual Monterey Jazz festival. The Monterey Bay National Marine Sanctuary is a Federally protected ocean area extending 276 miles along the coast. Carmel -- Clint Eastwood was Mayor here for a term during the 1980s and he liberated ice cream for the people of Carmel. An ordinance there forbade the selling and eating ice cream on public streets, so Eastwood's campaign used this as a platform and when he took office he overturned the ordinance. It would be a crying shame to go to Carmel and not have an ice cream. Liberty for all! Big Sur -- writers and artists have often resided here, including Henry Miller and Jack Kerouac. Soak up the area and you might find yourself writing your own tome in the comfort of your RV. From there, take on Santa Barbara, Los Angeles and think about visiting Disneyland at Anaheim or Legoland at Carlsbad. Then head to San Diego and Palm Springs before taking on Death Valley and you're on your way to Las Vegas.